Here is an example of the damage that can be created by the elements in the life of a chimney construction. The cement weatherings at the base of the chimney has shrunk and cracked so it is in desperate need of replacement. Using traditional lead work to restore the weatherproofing qualities required with this material providing a more durable option to the old cement rendering techniques.. The weather had also taken its toll on the cement joints of the brickwork and required raking back and re-pointing. The full restoration was completed in approx 4 days. 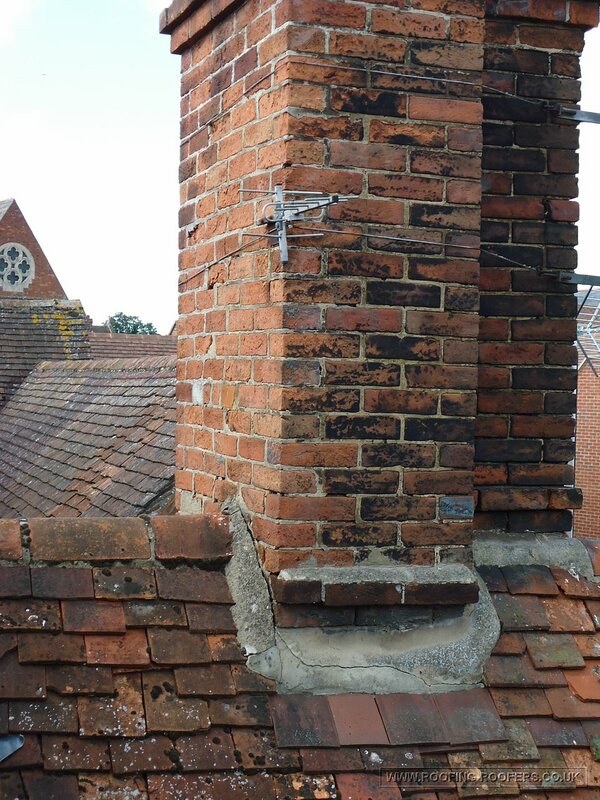 Chimneys are often neglected and I specialise in the repair and restoration of that part of the building. It is important to have your chimney properly inspected and checked not only to stop deterioration of the fabrics but also for your own safety in knowing that it is working correctly. 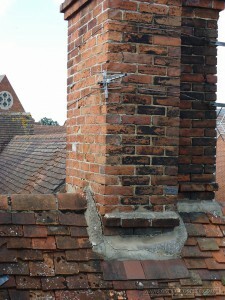 Image example of the work that was required to restore this chimney, click image to enlarge. This entry was posted in Chimneys and tagged Chimney repairs by admin. Bookmark the permalink.